So when it comes to the holidays, it’s smart to start the decoration planning now. Winter — along with it Christmas and New Year — is right around the corner. Get your park into the holiday spirit with some decorating ideas. Decorating provides a fun way to show off your park and spruce things up seasonally. And best of all you don’t have to spend an arm and a leg to pull off a holiday look. In today’s article, we’re going to share five different ideas with you. These ideas will range from an emphasis of the family-friendly to the budget-friendly. Now let’s look at the five ideas we’ve cooked up for your holiday-themed park. With a dash of Christmas and winter whimsy, your park will be looking festive in no time at all! And what makes it all exciting — you can invite the mobile home park community to participate with these ideas! Make it a community effort for bonding! Budget-friendly wreaths can come in all shapes and sizes. If you search the ads, you can get your wreaths at a good price with a coupon. Prowl your local craft department stores for a bare wreath you can work with. After you’ve acquired the wreath, it’s time to rummage through your Christmas decor boxes or the local dollar stores for bobbles and things that will fit and arrange nicely on your wreath. For inspiration on winter wreaths, try Martha Stewart’s lineup. 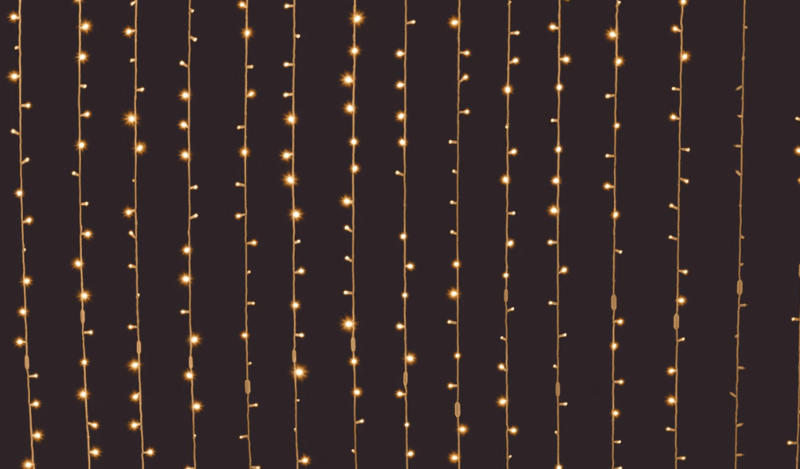 Have you thought about putting up white lights instead of colorful lights? These white lights can fit well with your park all winter long. Instead of taking them down soon after Christmas, you can leave them up as the colors are neutral and can go for a wintery motif. Lights give off a touch of whimsy to any aesthetic vibe and blend in with the rest of winter life. Now if you’d rather do colorful Christmas lights, that’s alright too. Just make sure you don’t leave them up too long after Christmas passes by. Otherwise, people will think you’ve forgotten to take them down. For a fun, community-wide project, line the streets of your mobile home park with cut-out Christmas characters. Get some plywood and trace out the silhouette of some favorite Christmas icons and characters. Then, cut them out and get to work with painting. You can make snowmen, reindeer, wintergreen trees and more. These are just a few ideas. You’ll be surprised at how many people will want to pitch in with the project. After the boards are dry, they’ll be ready to be propped up for the holidays. Add a finish that can be brushed up to protect the winter wonderland characters. In the community center of your mobile home park or in the office, you may wish to consider putting up a park Christmas tree. Here’s a great idea for your park’s tree. First, reach out to your local nursing home and ask them if they’ll put together an ornament for each nursing home resident who doesn’t have a family. These could be as simple as paper or cardboard cut-outs. On the back of the ornament, they can paste a small wishlist for each resident. Then, invite your park residents to “adopt” a nursing home resident for Christmas. This is a fun way for your park to join in doing something meaningful outside of the community. There’s nothing quite like spreading the Christmas cheer by giving to others without expecting anything in return. Another fun thing you can do for the holidays is to host a door decorating contest. Several weeks before Christmas, announce the contest. 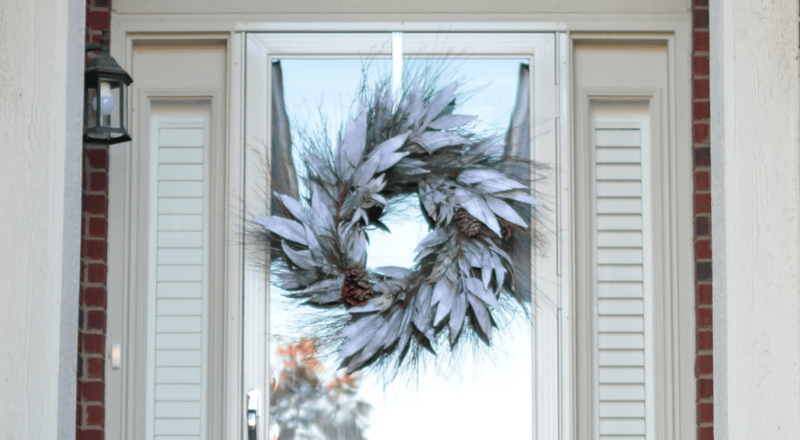 Encourage your residents to decorate their doors with a holiday theme in mind. It will get everyone decorating with Christmas in mind and bring some friendly competition and fun to the park. So there you have it. 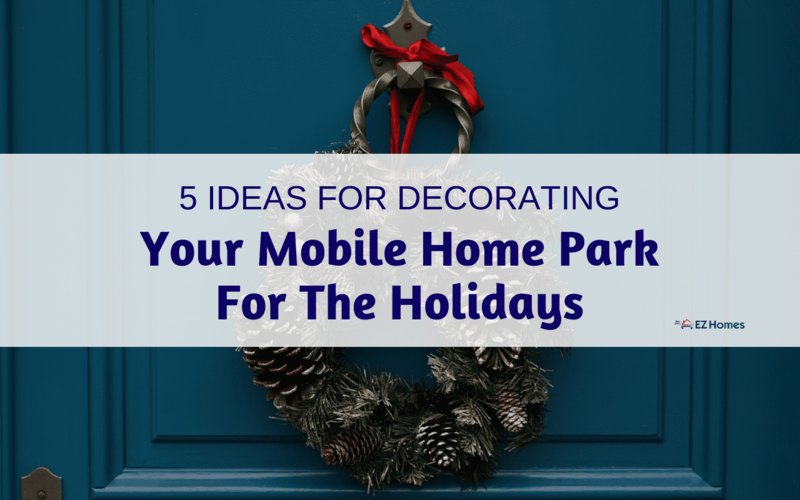 Five ideas for decorating your mobile home park for the holidays. Make it fun, make it a community-involved experience and don’t forget to cherish the little moments along the way. The holidays are a busy season but that doesn’t mean your mobile home park needs to miss out on the Christmas spirit in looks. Now, how about some practical preparations for winter? We have a mobile home park seasonal winter checklist for you. It’s a good idea to start prepping for the inevitable freeze and wintery dynamic coming your way.